Oxford University’s Chabad-Lubavitch society unveiled a rare work of Hebraica Thursday to highlight the Jewish ancestry of British Prime Minister David Cameron. Tishbi, a 15th century dictionary of words in the Talmud and Midrash by grammarian and Cameron’s great-great-great grandfather Elia Levita, appeared alongside other rare finds at the university’s Merton College. According to Rabbi Eli Brackman, director of the Oxford Chabad Society, Levita’s son Emile moved from his native Germany to England, where he eventually became director of the Chartered Bank of India, Australia and China. His son Arthur married Steffie Cooper, a relative of King George III, making Cameron a fifth cousin to present-day Queen Elizabeth II. 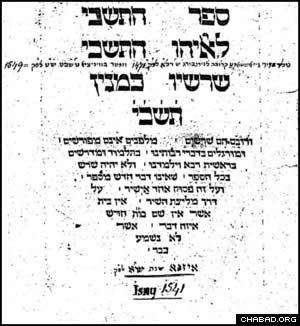 Elia Levita, who worked in the famous Venice printing house of Daniel Bomberg, also wrote Sefer Habachur, a work on Hebrew grammar; and Sefer Meturgeman, a guide to the Aramic translations of the Torah.